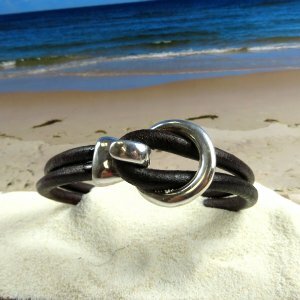 Dark Brown Leather with Sterling Silver hook Clasp. To determine the size, leasure wrist with string and add 1/2 inch. That will be the size.